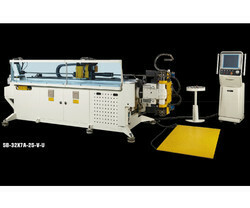 Soco tube bending machine available: hydraulic, nc, nc/mp, cnc multi axis control models click here for more details. In addition to the durable and finish standards and rigid construction, these also have superior performance and low maintenance costs. 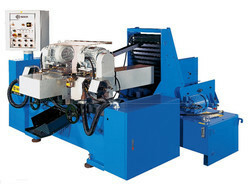 The offered bending machines ca be availed in a comprehensive range of CNC, NC and Hydraulic for 16mm Diameter onwards. Dual Linear Guide Vertical Slides for the Cutting Head, ensuring smooth cutting and longer blade life. With models that extend up to El168mm capacity. the 8000 OMB SB series tube bender brings the optimal tube bending power and accuracy solutions for the automotive, trucking. buses. boiler. ship building and other heavy industries. Applicable in multiple industries, such as furniture, architectural, construction, plumbing, automotive and shipyards. The new SOCO CNC Tube Bender combines Draw + Roll + Dual Direction Bending Way technology. This line is especially suitable for complex parts and shapes, such as automotive exhaust pipe, health care and fitness equipment. 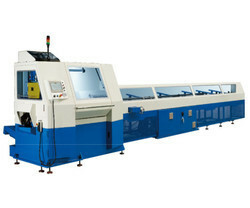 It equipped with 7 - 10 electric CNC axes, 2+2 bending stacks and uses SOCO's unique DGT technology (Direct Gear Transmission). It may also be optionally provided with Automatic Loaders ( AF / AFM / ROBOTS ) and Automatic Unloaders ( AUL / ROBOTS ) for full automation. 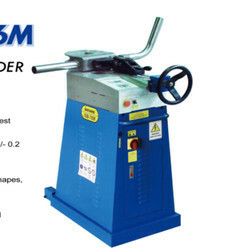 This semes tube bender can offer one of highest performance solutions available in the market. The new SOCO CNC Tube Bender is part of the " i - Reverse 30 " Line, which is equipped with Left + Right Bending Technology for maximum flexibility and minimal interference. The " i - Reverse 30 " line is especially suitable for complex parts and shapes, such as automotive head rests, fuel lines, heating and cooling systems. 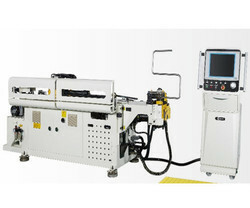 It is equipped with 5 electric CNC axes, 3 bending stacks and uses SOCO's unique DGT technology (Direct Gear Transmission). The SOCO SB-Oil Tube master is a dedicated CNC Brake Line bender, designed for small tubing, especially Bundy Tubes and hydraulic lines. With multiple electric axes and a unique design to allow bending the most complex shapes and parts, it offers the most advanced solution and performance in its range. Suitable for brake line tubing up to 4000mm (Optional 5000 mm). Overmode (Arm Return Mode) offers flexibility to offset each bend and avoid bending interferences. Chosen for its unparalleled productivity, the TB series of compression tube bender is able to make 2 bends x 1-3 tubes simultaneously. The DEF series is ideal for chamfering short working lengths (25mm - 300 mm). 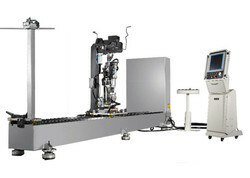 With an optional BTM, the machines offer a completely automatic loading, feeding and chamfering process. This range is suitable for clean and even chamfer both ends of the tube, as well as radius (round) chamfering and / or chamfering the inside outside (I/O) and face of the material. It may also be used for outside chamfering of solid bars . External and intemal chamfering with facing in one process for double sides of tube, with optional radius (round) chamfering. 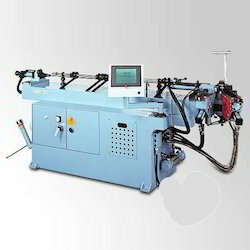 Owing to the expertise of our team of experienced professionals, we are able to offer an exclusive range of Soco Tube Bending Machine. This machine finds wide application use in various stone companies, and hard machine sectors. The provided machine is obtainable in different version having helpful configuration to raise the production meter high. 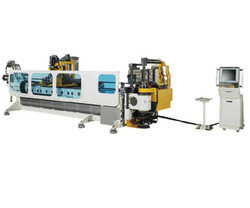 Operator friendly control panel and the hard tooth jaw chunking makes every metal sheet, metal bar, rod, tubes and pipes cut into desired requirement efficiently. In addition, clients can get the machine within stipulated time frame from us. 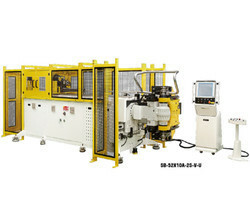 SOCO's unique DGT technology (Direct Gear Transmission) is the worldwide patented bending system that brings you the most efficient and stable bending process, offering the highest accuracy and repeatability in draw and roll bending. 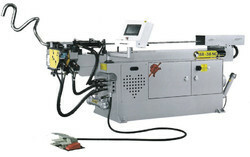 The NC series tube benders equipped with NC control unit with Touch Screen Interface. 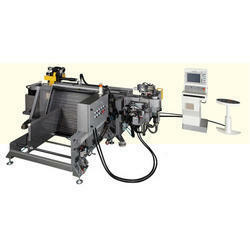 It combines easy-to-use operation with high bending accuracy and cost effectiveness. it is the practical semi-automatic solution for small to medium productions. Up to 9 programmable bends and 4/ 8 length stoppers. The software allows for programming up 4 different parts on the same stock material, maximizing utilization of the complete tube. 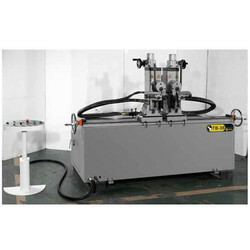 Looking for Soco Tube Bending Machine ?